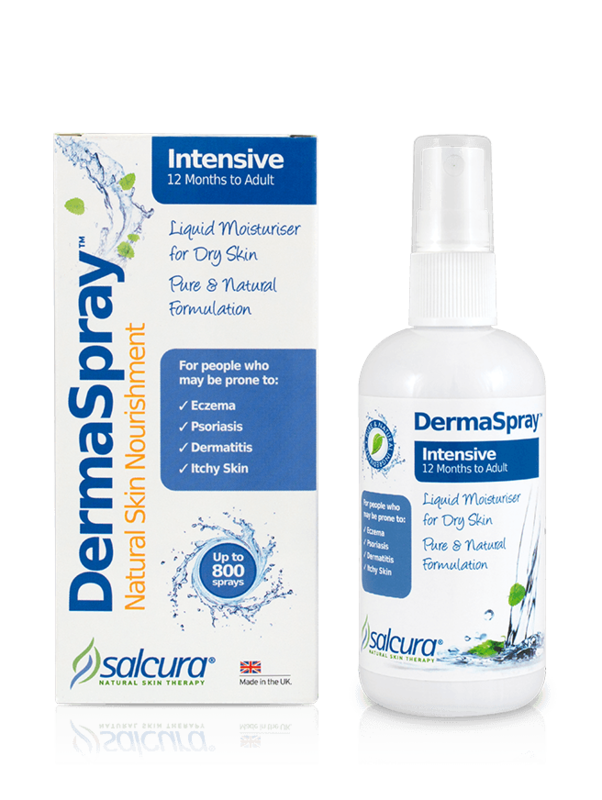 Eczema can be so difficult to treat! And then other times, people experience great relief using a specific cream or taking a specific supplement. Other people need to cut out dairy and wow, what a change! All worth trying…. and it can be a bit of trial and error. Also make sure to have as pure a home as possible. Use natural, chemical-free cleaning products, laundry products and skin & hair care products. They clean just as well! And it’s better for your health and the environment. Go to your local health food shop where you’ll see a selection, knowing that what you choose in this kind of shop is all chemical-free, paraben-free and as green as possible. Here are some suggestions and often it’s good to combine the use of a cream with an internal treatment as you need to deal with the internal biochemical imbalance. Click on the name to read more about the product. 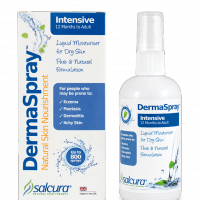 Derma Spray Intensive – so gentle and easy spray-on treatment for 12 months to adult. For children use Fish oil or Krill oil , one of the topical creams or spray and avoid wheat, diary, potatoes and citrus. You can also have a food intolerance test to avoid cutting any foods unnecessarily or the wrong ones as everyone is different. See about our blood test kits here. Or book a session with The Health Detectives for a full health MOT including finding irritants, boosting your immune system and how to start the process of producing your own natural steroid hormones as we are designed to do.